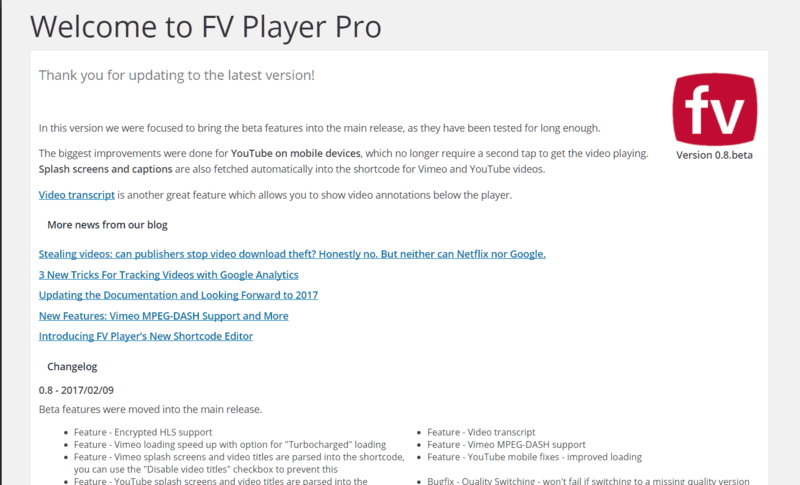 We have released the new version of FV Player - 6.0.5.9. Although it had some initial problems, they are now all resolved with the update 6.0.5.9.3 and you can dive right into the new features. MPEG-DASH (Dynamic Adoptive Streaming over HTTP) is a technology similar to Apple's HLS, that allows streaming of data with adaptive bitrate. The principle is the same - the video file is broken to a small fragments of data, that are served one by one to create smooth playback. Each one has various qualities that switch automatically to deliver best quality possible in the given network situation. Unlike HLS, MPEG-DASH was created as an international standard with the ambition to be compatible with every possible device. This goal was not achieved yet, because you still have to use HLS on all iOS devices. MPEG-DASH is however becoming dominant on all other platforms, like Android, TVs, set-top boxes, and has been adapted even by YouTube, Netflix and even Vimeo. 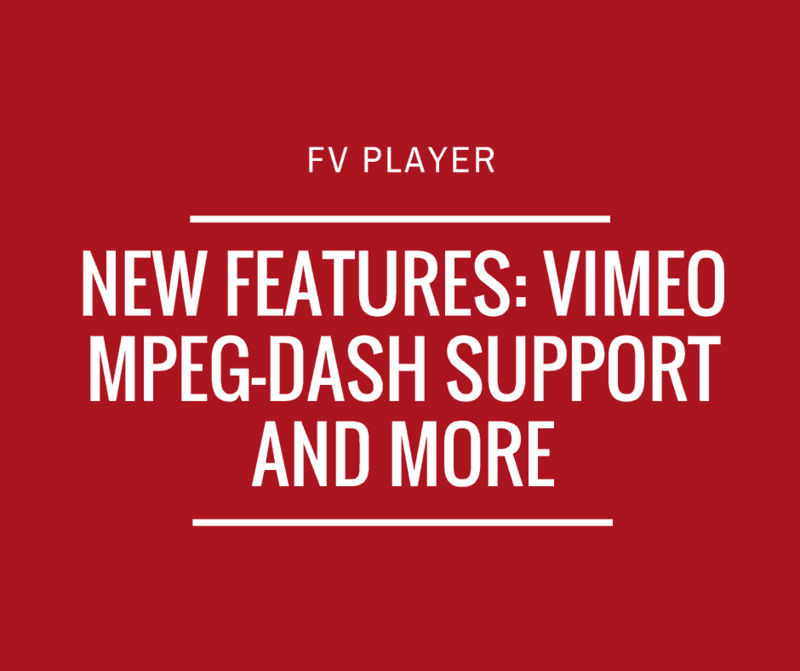 FV Player handles the MPEG-DASH using the Media Source Extensions (MSE) specification, making it available on all the major browsers. Also, we are currently finalizing the work on Vimeo MPEG-DASH implementation, and it should be available in the near future. Check our Changelog to see the full list of all the fixes, features and changes done all the updates.